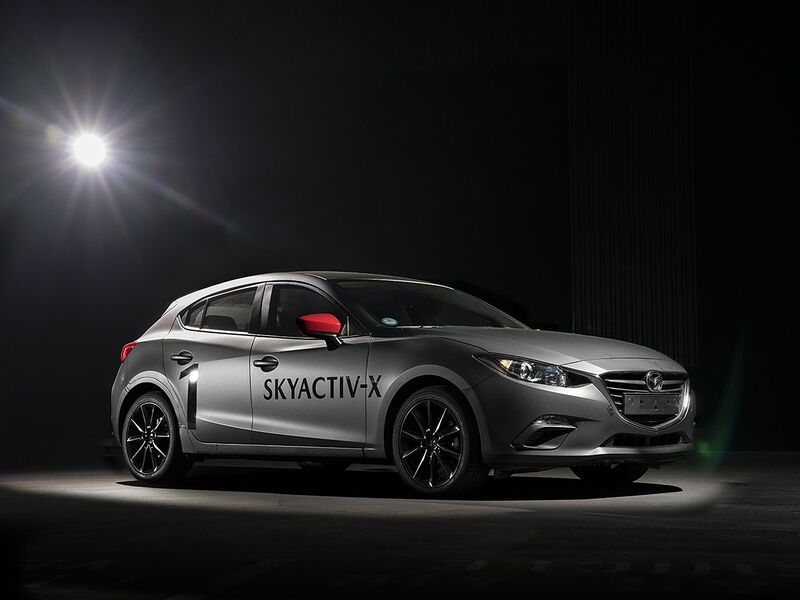 Skyactiv-X pre-production prototype... sounds interesting.... even encouraging. I drove a 2014 Mz3 with the 2.0 Skyactiv-G until earlier this year and loved the chassis dynamics, even if it was underpowered. I wouldn't want to be the guinea pig for an all new engine like that. It's the audible engine knock that is worrisome. Mazda just plans on adding insulation to cover the knock sound. It might be fine for a few years, but I'm concerned about engine longevity, long term. That's like painting over a wet spot in your ceiling. Not sure it's a good idea, either. They could use the sturdier construction of a diesel to alleviate any long term issues. Last edited by AZuser; 10-26-2017 at 01:26 PM. Still holding my breath for the next-gen 'Speed6. Loved, loved, LOVED my '06 Speed6. ^ I think a new MS3 is more likely to happen than a new MS6 or MSM. It’s a line trotted out constantly by manufacturers in search of a hook for their latest show car. “This model represents the next generation of our company’s design philosophy.” Often it’s a load of old waffle. But when Mazda decides to deploy it, we sit up and listen. Why? 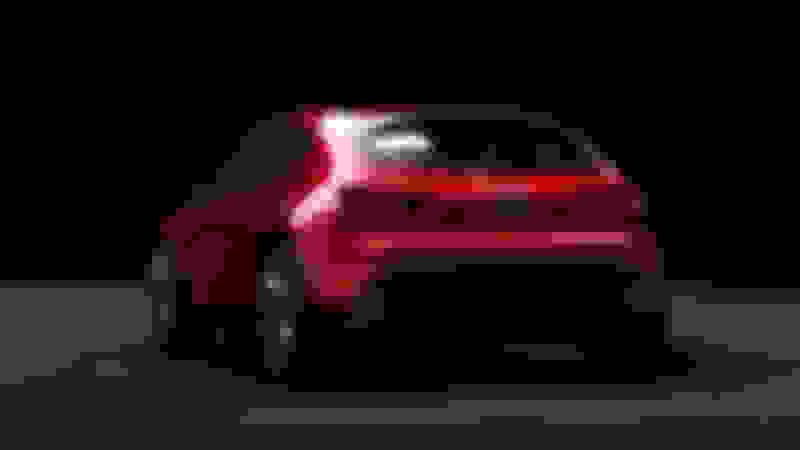 Because ever since it announced a new Kodo design language with the four-door coupe (see a pattern emerging?) Shinari concept in 2010, it’s set about designing one of the most cohesive and consistently handsome range of cars – from MX-5 to CX-5 – anywhere in the industry. This, then, is Mazda starting again, pressing reset, Kodo design v2.0. It’s a new beginning that seven years hence will produce another litter of Mazdas destined to nip at the heels of bigger-selling, but probably less-talented cars. It’s drearily named the Mazda Vision Coupe and, my word, it’s a handsome slab of metal. The idea, and bear with me if it gets a bit design fluff here, is that the Vision Coupe “forgoes the rhythmical motion that prior iterations of Kodo design emphasised in body styling”. It opts instead for a simple form that “strips away all non-essential elements to embody a less-is-more aesthetic”. To you or me, that translates roughly as the current cars are full of lines and a bit fussy; from now on, expect all Mazdas to have fewer creases than Simon Cowell’s face. What the Vision Coupe also hints at is yet more focus on perfect proportions. According to Mazda, it benefits from the golden ratio for a Mercedes CLS-sized flowing four-door coupe like this – namely a rearward cabin and an outline that suggests forward movement. Some in the Top Gear office saw shades of the yacht-like Mercedes-Maybach 6 concept when they clapped eyes on it. Don’t worry – we’re fans of that too. All good. 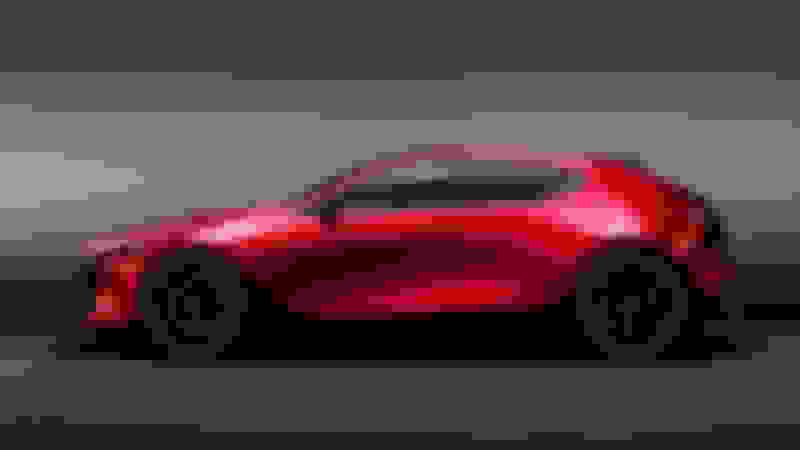 But what about 2015’s rotary-engined RX Vision concept, I hear you cry? That showcased a sleek new look for the company two years ago, surely? Well, yes and no. The rear end appears to tally with this new concept, but the front end is now firmly last-gen. A rotary car is still on Mazda’s wish-list, by the way, but on the back burner while the guys attempt to make the sums stack up. The interior uses the Japanese architectural concept of ma, obvs. “The intentional use of spaces between components such as the instrument panel, door trim and centre console…to encourage the flow of air between them.” Flatulent drivers will be delighted. 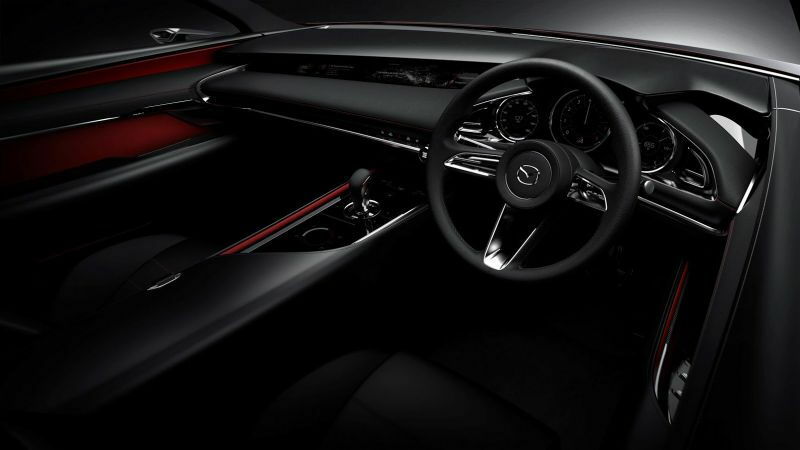 Mazda also compares the way you touch the centre console to call up info on the display as the way “a rider communicates with a horse by stroking its mane and back”. God bless the Japanese. [...] Yamamoto started as a factory worker building transmissions, but within two years, was promoted to management and began work on a new engine for Toyo Kogyo's three-wheeled truck, which was sold under the Mazda brand. Toyo Kogyo released its first real car, the Mazda R360 in 1960, and in 1961, began a technical partnership with German automaker NSU, which was developing the rotary engine for production car use. 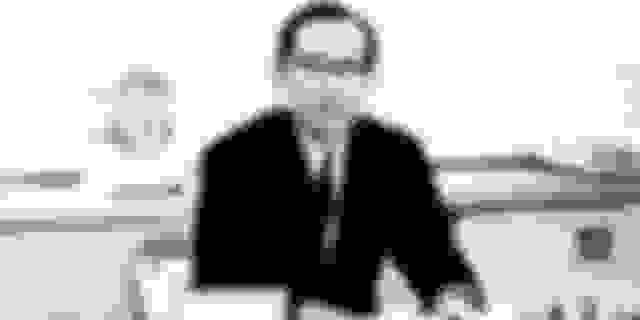 Yamamoto was put in charge of a team at Mazda that later became known as the 47 Samurai, who developed rotary engines. In 1964, Mazda presented a prototype of the Cosmo Sport, a two-seater powered by a twin-rotor engine. It's not an exaggeration to say that this is the car that ensured Mazda's future. The Beating Heart: This Mazda prototype incorporates a Skyactiv-X engine within the body of a Mazda3, but the only way you’d know it is by the high fuel economy and the low tailpipe emissions.There are lots of reasons why we’re not all driving electric vehicles now. You’ve probably thought of two or three already, but let me add one that I’m sure you haven’t. It’s a big obstacle to EVs, and it’s rarely remarked upon. It’s the internal combustion engine, which is no sitting duck. It’s a moving target, and a fast-moving one at that. There’s no better example of this agile, relentless progress than Mazda’s Spark Controlled Compression Ignition (SPCCI) system, which is scheduled to reach the car-buying public in the form of a new combustion engine in late 2019. Mazda borrowed a trick from the diesel engine, which compresses a fuel-air mixture to the point of ignition rather than igniting it with a spark plug, as gasoline engines do. It’s the biggest advance in combustion engines since electronic fuel injection, which started proliferating in the 1970s. The new engine operates under some conditions with compression ignition, like a diesel engine, and at other times with spark ignition, like a standard gasoline engine. It will sell under the name Skyactiv-X, building on Mazda’s current engine design, known as Skyactiv-G (G is for gasoline). “We’ve dubbed it Skyactiv-X because it is kind of the intersection of gasoline and diesel technologies,” said Mazda power-train engineer Jay Chen, in a press briefing. Mazda claims that the 2.0-liter four-cylinder Skyactiv-X provides from 10 to 30 percent more torque and from 20 to 30 percent better fuel efficiency thanthe Skyactiv-G. So, using the 2.0-L Skyactiv-G as the reference, figure on torque somewhere between 224 and 264 newton meters (165 to 195 foot-pounds) for the Skyactiv-X. If you put it in the Mazda3, a compact car, and assume it has only a minimal hybrid-electric design, then its fuel economy should come to between 6.36 and 5.88 liters per 100 kilometers (37 and 40 miles per gallon). Mazda has not yet announced which model will debut Skyactiv-X. True, an all-electric car posts better numbers. The U.S. Environmental Protection Agency gives the Chevrolet Bolt EV the e-car equivalent of 119 mpg (1.98 L/100 km). On the other hand, the Bolt will go just 383 km (238 miles) on a charge, while the Mazda3, using today’s Skyactiv-G engine, can manage 785 km (488 miles) on a tank of gas. To understand how SPCCI works, start with the fundamentals of ignition in the three kinds of combustion engine—the diesel engine, the standard gasoline engine, and the immediate forerunner to the SPCCI, called the homogeneous charge compression ignition (HCCI) engine. In ideal combustion, each hydrocarbon molecule is paired with an oxygen molecule, producing water and carbon dioxide. The molecules are present in the chemically correct ratio that engineers describe as lambda 1. In a lean fuel condition, when there’s more oxygen, lambda is greater than 1. That’s good when the goal is to reduce fuel consumption. And, because such lean combustion mixtures burn cooler than those at lambda 1, they produce less nitrogen oxide pollution. The solution, employed in both HCCI and SPCCI engines, is to keep compressing the air-fuel mixture until it is so hot and under so much pressure that it detonates spontaneously. Diesel engines also use such compression ignition, but they first compress pure air into the combustion chamber, then inject the diesel fuel. Only then does the fuel burst into flame. This sequence is important because the fire starts at the spot where the fuel is injected and spreads to the rest of the combustion chamber. High temperatures in this expanding flame front cause diesel’s characteristic emission of soot particles and nitrogen oxides. In HCCI combustion, air and fuel mix together in the cylinder during the compression stroke and spread homogeneously throughout the combustion chamber, as they would in a direct-injected gasoline engine. Only after that spreading and mixing are they compressed to the point of autoignition, as in a diesel engine. So, in a traditional gasoline engine, combustion begins at the spark plug; in a diesel, it begins at the fuel injector; and in an HCCI engine it happens in all parts of the combustion chamber at once. That makes for an intense explosive reaction, one that puts more downward force on the piston during the engine’s power stroke than the other two engine types do. Gasoline and diesel engines both must light the fuel while the piston is still moving upward on the compression stroke, achieving peak cylinder pressure while the piston is close to the top of its stroke. To make it work, HCCI engines need to run at a very high compression ratio, just as diesel engines do. According to Sandia National Laboratories, one of the few outside sources that gives numbers, HCCI engines typically run at compression ratios as high as 14:1. Conventional turbocharged gasoline engines commonly run at around 10:1, while diesels, such as the familiar Cummins 5.9-L turbo diesel installed in Ram pickups, run at 17.2:1. However, HCCI engines can’t always time that spontaneous explosion so that it happens just after the piston passes top dead center in its stroke and begins moving downward on its power stroke. They simply can’t be designed to exert such precise control, because they’re harnessing highly exothermic chemical reactions that behave chaotically, in a fast-changing environment. Because HCCI combustion is possible under only the right conditions of load and engine speed, HCCI engines need spark plugs to let them run in conventional, spark-ignition mode as well. And here is where the challenges begin. In an HCCI engine, compression ignition is spontaneous, so it is difficult to know exactly when the cylinder’s air and fuel mixture will ignite. If that rapid, forceful combustion that we prize so much during the power stroke occurs too early, while the piston is still rising for the compression stroke, catastrophic engine damage could occur. But variations in engine load, throttle position, and temperature make it difficult to rule out such premature ignition if some combination of those factors suddenly creates a compression ratio high enough for compression ignition. Mazda finesses the problem by having the engine initially give just a very small squirt of fuel. That trick ensures that the mixture is so lean, regardless of conditions, that it will never preignite. “Then, during the compression stroke, we give a larger injection of fuel, under higher pressures. That atomizes, but it doesn’t have the same amount of time to heat up. In that way, it doesn’t have enough time to reach the autoignition temperature threshold,” explains Chen. How, then, to get this lean mixture to light at the most opportune moment in the cycle? Mazda’s creative solution to this problem is to build its SPCCI engines with a compression ratio of about 16:1—just below the threshold for compression ignition in this engine. The earlier, HCCI engines needed a spark plug for conventional operation when the temperature, engine load, throttle position, and rpms were unsuitable for compression ignition. But Mazda’s engineers realized that by manipulating conditions within the compression chamber, they could use that spark plug to ignite a local fire within the chamber. The expanding flame front increases pressure throughout the combustion chamber, effectively raising the compression ratio high enough to trigger ignition in all parts of the chamber at once. That left the lighter-fluid problem: How do you light that compression-enhancing fireball in a fuel mixture that’s too lean to catch fire? Mazda’s solution is to create a region near the spark plug that’s just a bit too lean to catch fire by compression alone. The spark can then set off a fireball whose expansion will boost pressure throughout the cylinder and cause compression ignition. In other words, the spark doesn’t so much light the fire as help the fire to light itself. Just as baristas create artistic images in espresso foam, it is possible to induce the air-fuel mixture inside the cylinder to swirl in a very carefully designed pattern. But rather than drawing a whimsical heart shape, Mazda engineers induce the flowing air to swirl like a hurricane, with a placid eye centered on the spark plug. “We create this swirl inside the cylinder through our port design in the cylinder head and also because we have a lean supercharger that helps deliver a high amount of flow,” Chen says. “The more flow, or the harder it is blowing, the more turbulence and vortex we have.” It is into this walled-off vortex that the Skyactiv-X engine injects a little extra fuel, just enough extra to let the spark plug set off the fireball that triggers the cylinder-wide spontaneous compression ignition at the correct instant. Other carmakers that have pursued HCCI engines—notably General Motors and Mercedes-Benz—have had some problems in smoothly switching the engine from HCCI mode to conventional spark-ignition mode. Basically, the vehicle would lose some power for about a second as the transition took place. This hiccup was quite noticeable if some combination of driving conditions meant the engine was switching back and forth between modes frequently. General Motors insists the problems were mere teething pains. “As we showed with the public demonstration of the GM HCCI development vehicles in 2007–2008, drivability and mode transitions are not a major barrier to commercial implementation,” says Paul Najt, GM engine systems group manager. In his view, the main challenge for commercialization is in economically combining HCCI with other technologies, like the selective deactivation of cylinders, to achieve even greater fuel economies. Mazda’s Chen explains that SPCCI doesn’t have any problem switching from HCCI to conventional spark ignition because it doesn’t turn the spark plug on and off. It simply adjusts how its spark is used—to ignite the fuel mixture or to pump up the pressure so that the mixture ignites itself. For the SPCCI, Mazda managed to overcome these problems by equipping its engines with fast electronic valve-timing actuators. Mazda also adds sensors that directly measure combustion pressures in each cylinder every time it fires. This high-speed monitoring lets the engine-management computer make adjustments on the next-to-fire cylinder stroke to ensure that it is running optimally. Overcoming the drivability problems of earlier incarnations of HCCI may have been the most crucial accomplishment to making SPCCI feasible for production. But Chen says he is most proud of the fact that Mazda was able to advance the state of the art in combustion technology while relying almost entirely on existing, off-the-shelf parts. Mazda is on the small end of car companies. Its sales of about 1.56 million cars a year is dwarfed by Toyota’s 10 million. So Mazda may seem an unlikely candidate to advance the state of the art in internal combustion. But the company has a history of doing exactly this sort of thing. In the 1970s it became the first (and still only) manufacturer to put the Wankel rotary engine into mass production. In the 1990s, it developed supercharged Miller cycle engines, which are relevant to the Skyactiv-X because each engine design employs an engine-driven supercharger to pump a high volume of air into the cylinder. Typical performance-oriented supercharged engines, such as the 527-kilowatt (707-horsepower) Dodge Challenger Hellcat Hemi V8, use the compressor to pack air into the cylinders and so to boost power output. This air-supply scheme employs an intercooler to help cool the intake charge, just as conventional superchargers do. Much of the incoming air is recirculated exhaust gas. Cooling the air raises its density, which puts that much more oxygen in the combustion chamber. The same advances in digital technology that are boosting the fortunes of EVs are also extending the life span of combustion engines. True, the basic moving parts, such as pistons, crankshafts, and valves, remain largely unchanged, but everything else about the process of capturing energy from burning gasoline is in flux. Computers are providing modeling and analysis that lend insight into combustion that never existed previously. Indeed, MIT’s Green Research Group has developed a combustion model that can run on PCs. The MIT Engine Simulator (MITES) follows 4,000 chemical reactions that can take place in combustion; this analysis enables it to characterize the operating range of HCCI engines. Other engine-development tricks include using engines with clear quartz cylinders fitted with laser sensors that peer into the fiery cauldron. Of course, carmakers like Mazda have enough computing resources to model complex combustion events before building a test engine, but having a modeling tool that runs on a PC can give others the ability to look into this developing area at much lower cost. That continuity with the past explains a bit of the magic that Mazda has invoked. Internal combustion is no desiccated relic of the past but a living, developing technology. As the heir to untold investments and ingenuity, the gasoline power plant continues to fend off challenges from electric propulsion. It will be in a lot of cars for the next generation of motorists. And for the one after that, too. In the “It Had To Happen” department, Mazda finally says it will use its rotary engine as a plug-in hybrid (PHEV) generator. It also says it will deliver a pure EV by 2020. But is it too little, too late after downplaying batteries for over a decade? A decade ago, while the world was crumbling and revealing a drunken automotive world, pants down, unprepared, and paying the price of beer for champaign, a few companies staunchly held onto gasoline and diesel engines among the ruins of their follies. Audi, Toyota, and Mazda were among the loudest anti-EV companies in 2009. According to the people I knew at Mazda then, the company was happy it was on its own again and could finally focus on making its platform as efficient as it could. This led to Mazda’s Skyactiv-X philosophy that meant lightening the car, reducing friction, and heat dissipation. That lofty goal landed the seriously revamped Mazda 6, followed by the 3, etc. But batteries? Never. This week, Mazda announced that its rotary engine could be used as a generator for a PHEV platform — as we requested a decade ago. 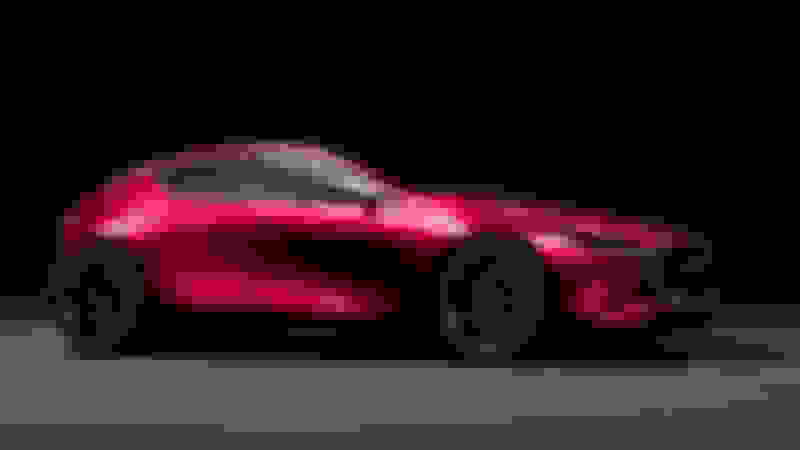 And finally, a Mazda EV will finally be here within the next two years. I do agree that Mazda can do one thing well — it can engineer great cars. Now, it needs to prove that with electricity. In its press release, the company announced it will continue to focus on maximizing the efficiency of its internal combustion engine (ICE) for its next generation of SKYACTIV-X gasoline and diesel engines. It also announced good news with the launch its first true EV in 2020. 2018 has seen a lot of companies turn around and swallow the humility pill. Toyota now talks about EVs, so does Audi, and now finally Mazda. Who else is missing? Clearly, Mazda still believes in the diversify of fuel options, which include compressed natural gas, liquefied petroleum gas, hydrogen, as well as recyclable liquid fuels such as biofuels from microalgae growth. We can always say, “the more the merrier,” but is the company just that far behind that it doesn’t have anything else to argue? Of course, 5% EV by 2030 is far lower than what other carmakers are reporting. But if it doesn’t have competitive electric cars, what else can it say? On a personal side, I wonder if the electric Mazda will be sporty or have more sedan-like ambitions? Mazda is keen to keep its classic names from falling into other's hands as the Japanese automaker has filed to renew the the trademark for the name "MX-6." The company filed the trademark with the Japanese Patent Office in October before it was published to the online archives in November. AutoGuide first discovered the trademark in a Monday report. For those who don't recall, the Mazda MX-6 was sold from 1987 until 1997 in the United States. The front-wheel-drive coupe was hardly a sales success, but a GT model featured a turbo-4 engine that made a punchy 145 horsepower. The second-generation MX-6 debuted in 1992 and was twinned with the Ford Probe sport coupe. An available 2.5-liter V-6 increased output to 164 hp. Again, the MX-6 failed to attract a fanbase and Mazda pulled the sport coupe from the market after 11 years and two generations. A trademark filing does not necessarily mean an automaker has a new product in the pipeline. Instead, more often than not, a company wants to protect its names from use elsewhere. We'd imagine it's the latter case for Mazda's latest trademark. The company has been focused on positioning itself as a more premium brand and moved away from sportier offerings. At the 2018 LA Auto Show, Mazda CEO Akira Marumoto said there are no plans for a rotary sports car. How about a new Mazdaspeed 3? Also no. The lack of a sporty performance car flies in the face of the stunning RX-Vision concept the company showed at the 2015 Tokyo Motor Show. Instead, it appears the sports car concept previewed the brand's future design language, which is on full display with the 2019 Mazda 3 sedan and hatchback. In any case, we've reached out to Mazda for comment on the trademark filing and will update this story when we hear back. The all-new Mazda3 sedan and hatchback have something no previous Mazda sedan or hatch ever had: optional all-wheel-drive. It’s also a first for the 3 itself. We doubt there will be any complaints from supposed front-wheel-drive enthusiasts (if any even exist). There are many benefits to having AWD and Mazda is confident the fun-to-drive factor it’s known for will be fully retained, if not improved. And speaking of the Mazda6, Moro also confirmed plans to offer the popular mid-size sedan with a diesel engine, most likely the SkyActiv 2.2-liter oil burner found in the CX-5 crossover. What’s the holdup? The emissions validation process. Just because it’s the same engine, the process needs to be done all over again because it’s a different vehicle and body style. Moro wouldn’t discuss which other models aside from the 6 sedan and CX-5 will receive a diesel engine, only that US government approval for more diesels was granted only in November. And for anyone else still wondering whether there’ll be a new MazdaSpeed3, forget it once and for all. Moro kind of explained why: "Our products are maturing. For example, we have a turbo for CX-5, so we did not make a MazdaSpeed5.” In other words, Mazda is officially out of the hot hatch fanboy business, at least for the foreseeable future. The rotary engine technology will return as well, but only as a generator combined with a small gas tankfor a future electrified model, but that information isn’t really anything new. It’s simply a confirmation it’s happening from the guy in charge. With the Skyactiv-X getting a diesel-like 20% bump in gas millage (and literally working like a diesel most of the time) not sure the diesel makes any sense. I'm just surprised at the no MS model mantra. They would sell like hotcakes in today's market. Even a MS CX-5 would kill it. 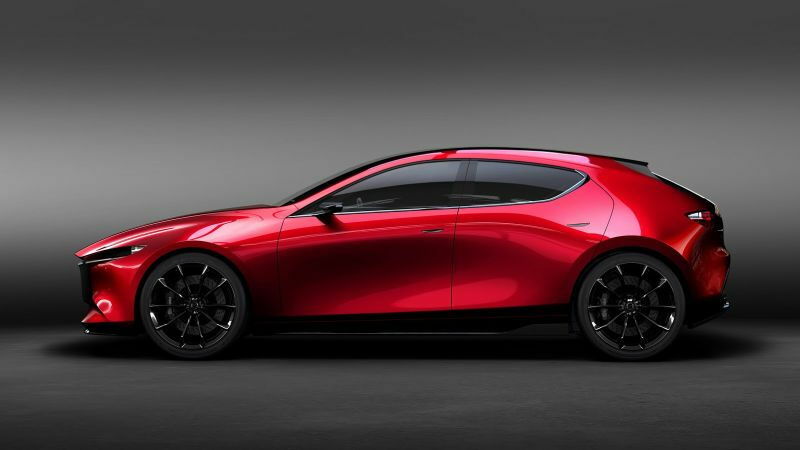 Seems Mazda wants to move more upscale rather than outright sporty. Perhaps the 'Signature' trim of the 3 could get the 2.5T & AWD. A Mazdaspeed in all but name? Honda should dump Acura and do exactly what Mazda is doing. Move upscale and leave the faux luxury behind. Assuming the 'mystery' model is the CX-4. Some articles also guessed the return of the CX-7 - which would make sense as a US only model. IMO, a CX-7 should be bigger than the CX-5, but smaller than the CX-9, not a lot of space there between them. Unless they're going for a BMW nomenclature & having 3/5/9 for CUV/SUV & another for the CUV-Coupe. Mazda has some pretty exciting powertrain technology in the works, particularly its Skyactiv-X spark-controlled compression-ignition engine, but also the upcoming range-extended electric vehicle with a rotary engine. It offers the possibility of electric transportation with a distinctly Mazda way of getting electricity from gas when charging isn't an option. But we learned that Mazda has some other ideas for the rotary range-extender beyond transportation, and even beyond gasoline. In talking with Ichiro Hirose, Maza's managing executive officer for powertrain and vehicle development, product planning and cost innovation, we learned that the company is exploring the powertrain's potential as an emergency generator. Naturally if an engine is suitable for creating electricity in a car, it would be suitable to provide electricity to buildings or tools. Besides a rotary engine used as a standalone generator, Hirose said the company is investigating the potential for complete cars to be used as emergency generators, since they're already mobile.